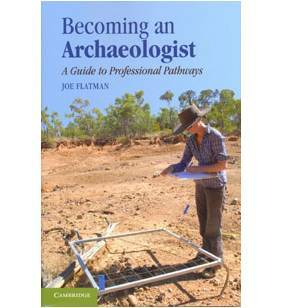 Joe Flatman’s volume on Becoming an Archaeologist: a Guide to Professional Pathways, published by Cambridge University Press is now available. 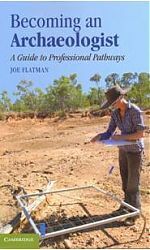 The handbook provides an informative view of the various career paths in archaeology and the mechanics of gaining employment. It outlines in straightforward fashion the entire process of getting a job in archaeology, including the various options, the training that is required and how to get positions in the academic, commercial and government worlds. Joe coordinates the Institute of Archaeology’s teaching on Applied Archaeology in the UK in which students are introduced to the realities of archaeological practice in 21st century Britain – including an examination of the roles and responsibilities of archaeologists in the commercial, government, academic and other worlds, the legal and ethical frameworks underlying archaeological practice, and the relationship of ‘business led’ archaeological work to the wider archaeological community. Joe is also a member of the Thames Discovery Programme Steering Group. The volume is available from Cambridge University Press in paperback and hardback and is also available for the Amazon Kindle.